We drove out this afternoon for Moab and stopped for the night at the Hotel Colorado in Glenwood Springs. We’ll leave for the final stretch to Utah in the morning. Nearly the entire drive on I-70 is alongside the Colorado River. This photo is what the race course will look like near the start Saturday. The first ten miles run through the Moab Canyonlands alongside the Colorado River. Simply spectacular. 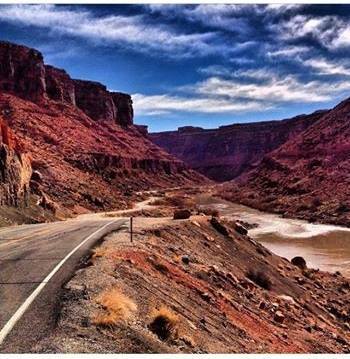 If you’re looking for something to motivate you to train through the winter, consider the Moab Half. This is my fourth Moab Half in a row. For whatever reason, it’s a fairly competitive race. More so than the Boulder Half in May. I don’t expect to be competitive but I am hoping for a personal record. I hate to make commitments for such a long distance race, but right now I feel like running hard. Might be an issue that I’ve barely trained the last two weeks, but I’m going to consider it tapering. 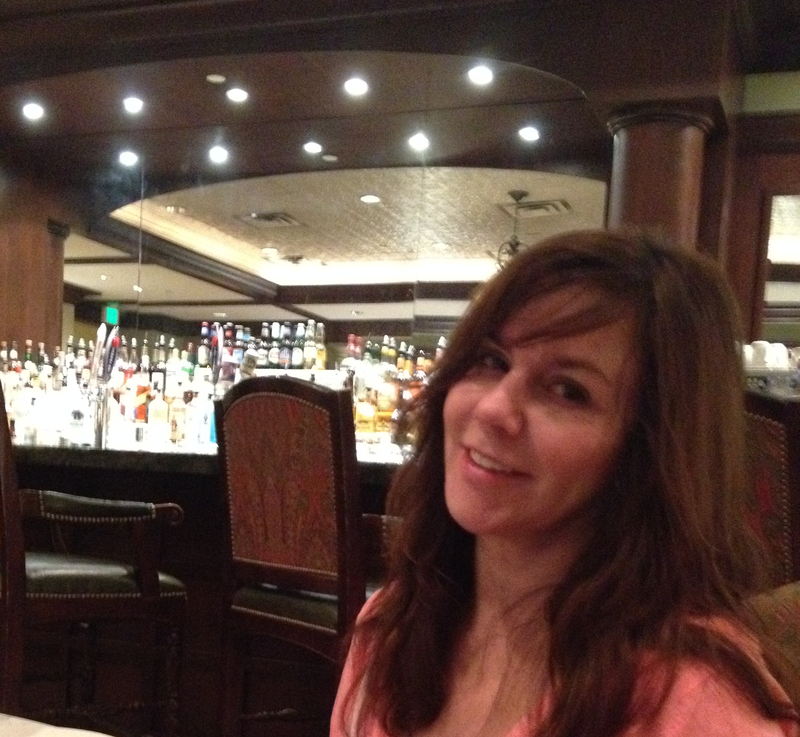 Karen and I are enjoying the Hotel Colorado tonight. It’s nice to cut the drive to Moab in half. Good luck! Looks really nice. Thanks Darling. Looking forward to this race. Good to hear from you Gordon. Hope I make you feel like a sloth. Karen says “Hi” back. I would love to run this race, but I’m not too competitive. I’m in my early 50’s. Are there people in that race over age 45? Or is it mostly like, an under 40 crowd? What place would you recommend to stay in? I’m not familiar with Moab. Thank you.